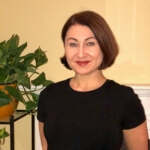 Master Esthetician, Ania, combines Swedish, Deep Tissue and Lymphatic Drainage Therapy to provide a fully customized experience for each of her customers. She also uses Reiki healing techniques with every service she provides. 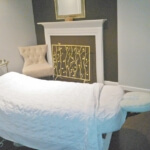 This unique approach to care ensures a relaxing and rejuvenating experience for her clients. Regular massage and skincare therapies should be part of your self-care regime. Paying attention to your skin, especially the delicate tissues of the face, can subtract years from your looks. Putting some time into a skin care routine will pay off with a more youthful appearance and a greater ability to fight off Mother Nature’s aging process. Receiving a massage once a week is optimal, although once or twice a month is also beneficial. Taking part in this form of regularly scheduled self-care can play a huge part in your wellness. Budgeting time and money for bodywork at consistent intervals is truly an investment in your health. Christie Adam is a full service salon and spa established in 1999 in Great Falls, Virginia. It soon became one of the premier hair salon and spas in Northern Virginia. Over the years, we have continued to grow and are always on the cutting edge of new trends in the industry. In February 2014, Christie-Adam Salon & Spa came under new ownership and management. To schedule your appointment at our Great Falls, VA salon with Ania call us today or fill out the contact form below.